Prof. Bridget Nwanze was born to the devout catholic family of Justus and Justina Osakwe of Issele Uku in Delta State, on March 21st, 1955. Bridget, a Doctor of Philosophy, a senior lecturer in Fine Art, an accomplished public speaker, Jerusalem and Rome pilgrim, a talent who exhibits responsibility and capability in her conduct, a careful, kind and calculative lady who through empowerment has promoted the general welfare of women and youths, a woman who accepts calls with humility, owes her inspiration to God and is blessed with an Architect, two Engineers and a Lawyer as Children. She also has seven grandchildren. She studied Fine Art and majored in painting. The institutions she attended and qualifications over the years include: Mary Mount College Agbor (WASC) 1972, Continuing Education Center Benin City (H.SC) 1974, Auchi Polytechnic (O.N.D.) 1976, University of Ife (B.A. Hons.) 1979, University of Port Harcourt (P.G.D.E) 1988, University of Benin (MFA) 1989, and University of Ibadan (PhD) 2000. Prof. Nwanze has served her country tirelessly in the educational sector for many years and has gained the love and respect of students, colleagues and parents alike. Beginning from the Government Technical College Port Harcourt, where she did her National Youth Service, to the Federal Government College Port Harcourt where she taught for twelve years between 1980 and 1992, Bridget demonstrated her rare and outstanding talent in teaching. While in the Federal Government College, she was a Senior Education Officer, Head of Department of Creative Arts, Class Counselor and House Mistress, to mention but a few. She joined the University of Port Harcourt as a lecturer in 1993 and served as the first Head of Department of Fine Art and Design in the Faculty of Humanities. Other positions among many held in the university include Senate board member, Staff adviser, Curator, Post Graduate Studies coordinator and the University of Port Harcourt International orator. She has also headed many groups in the Catholic Church. Some of these positions include: President, Catholic Women’s Association, Mater Misericordiae Parish, Rumuomasi, Port Harcourt and President of all parish presidents (CWO) Catholic Diocese of Port Harcourt. 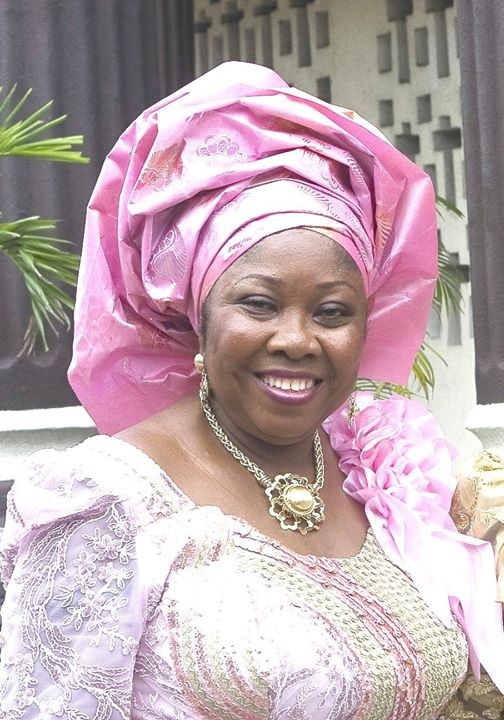 She was also the First National President of The Female Artists Association of Nigeria, (FEAAN), First elected Chairperson of Society of Nigerian Artists (SNA) Rivers and Bayelsa Chapter among many other positions held in professional bodies.